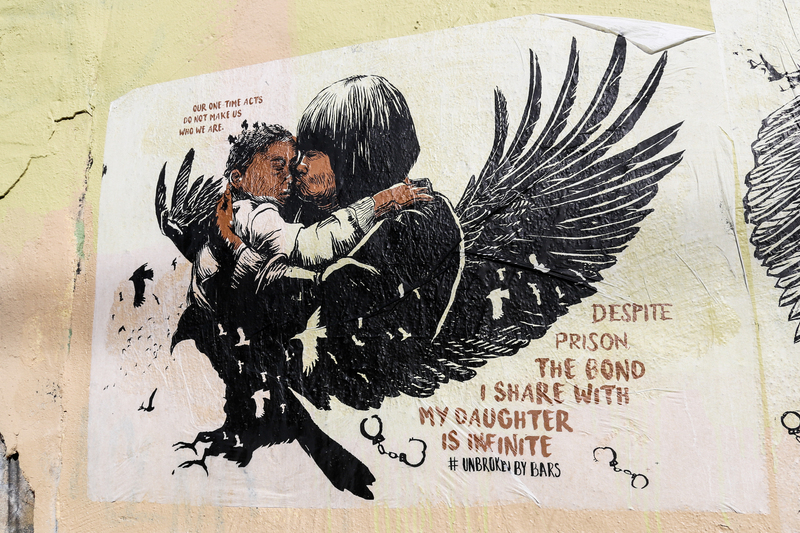 This week I stumbled on a trio of relatively new wheatpastes in Kensington that address the effects of mass incarceration on mothers and their children. 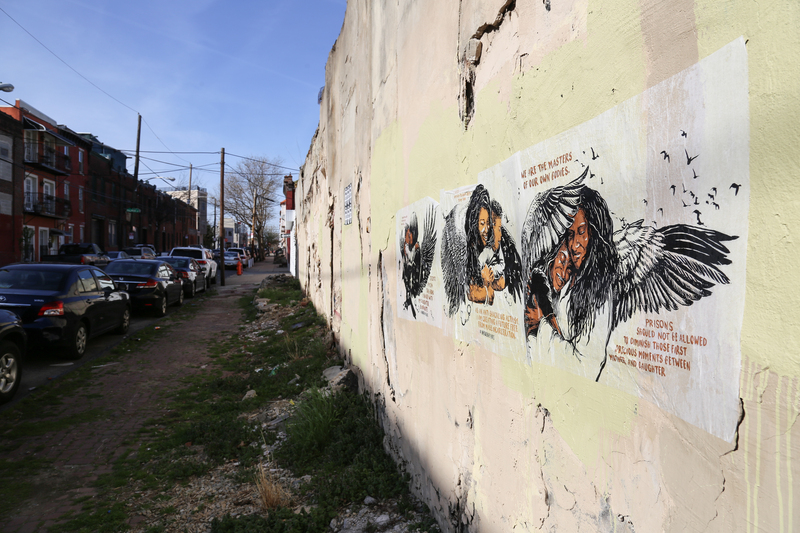 Located at Cecil B. Moore avenue and Hancock street, two of the three wheatpastes used the hashtag #UnbrokenByBars. 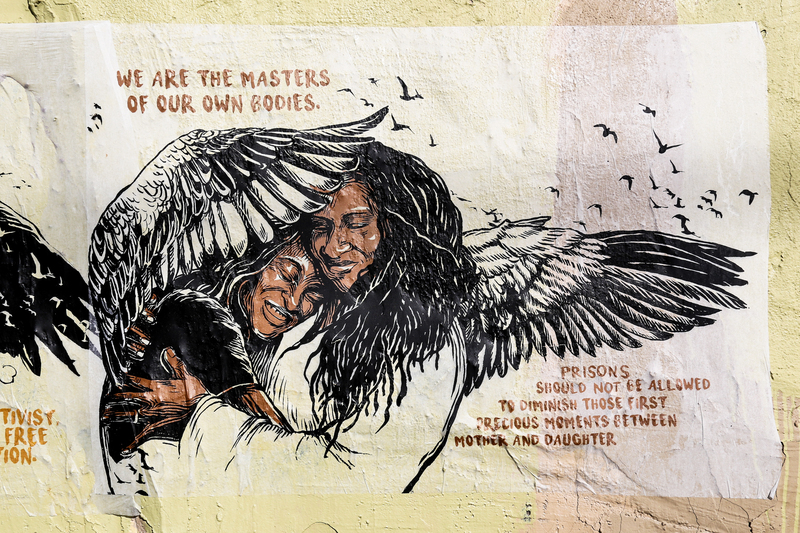 That hashtag led me to a Google search where I learned that these wheatpastes are apart of a public art and storytelling project which creates works of art from the messages that previously incarcerated mothers of color shared with their children during their incarceration. Please check out the ‘Unbroken By Bars’ website – there’s so SO much more information there on this project and on each of these wheatpatses! 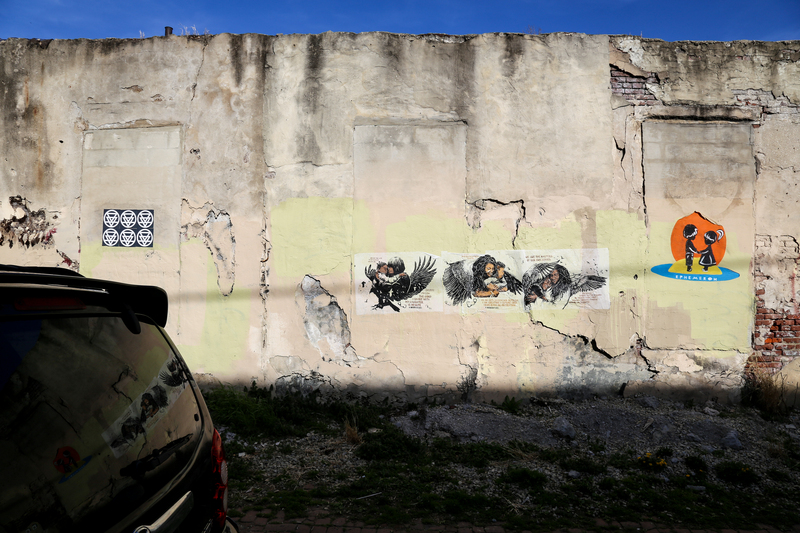 For me, it’s infuriating that – of all the issues that divide this country, the ENORMOUS problem of mass incarceration seemed to be one of the few issues that both Democrats and Republicans agreed on this past 2016 presidential election season. Yet, we’re nearly 100 days into the new President’s term and not a whisper has been spoken about criminal justice reform. 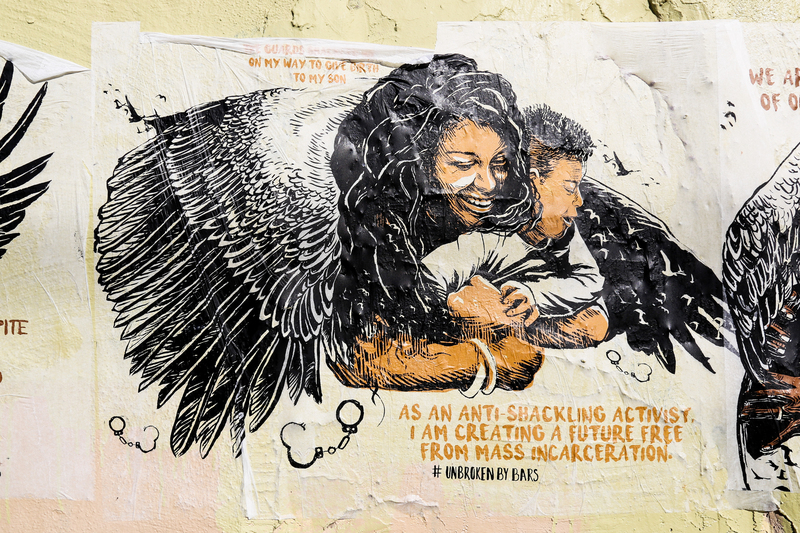 How can we call ourselves the “the land of the free” and continue to fight for freedoms in other countries, when so many Americans – disproportionally so many Americans of color – are put away in private, for-profit prisons for minor, non-violent crimes? This is not only an insult to the American people, it’s an insult to logic and reason. We need to do better, and NOW.